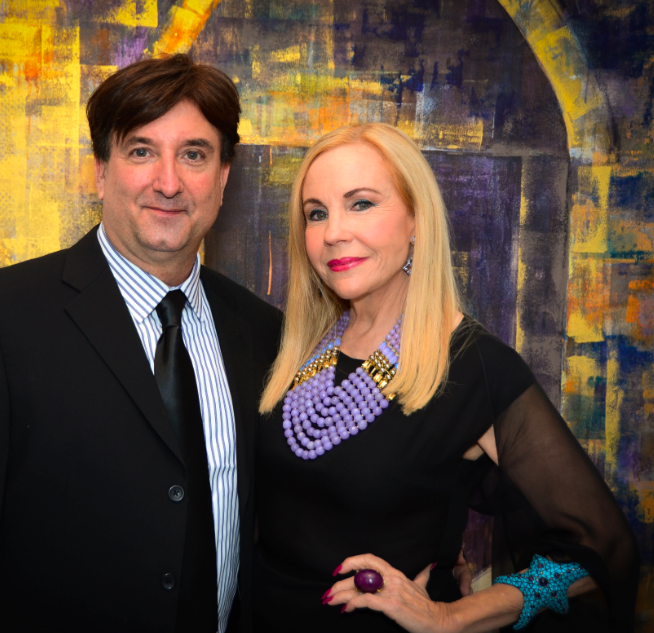 The event was chaired by our – and Houston’s - favorite philanthropist and art collector Dr. Carolyn Farb, hc, and it inaugurated the new National Center for Jewish Art. The honored artist Barbara Hines was accompanied by her husband, Gerald D. Hines, founder of the international real estate firm, Hines. Two-thirds of the museum has been devoted to the more than 60 paintings and works on paper by Hines whose impressionist, yet contemporary style is inspired by the land of Israel and Judaic themes.The exhibition will be on display through August 2015. We think that is quite amazing to have an assemblage like this. Barbara Hines is represented by Meredith Long & Company in Houston. She and her husband, are significant philanthropists and humanitarians, having helped students worldwide as well as architects, artists, and musicians. We learned that Hines donates 100 percent of her proceeds from art sales to charitable causes. Certain works of art in the Museum of Biblical Art show will be available for sale with the proceeds being donated equally to the museum and to Chabads of Dallas.